In my previous post 52 Weeks to Better Nutrition and New You, I explained the real secret to nutrition success - permanent nutrition behavioral modification. This is best done with small, gradual, consistent changes to your nutrition habits. I also gave week one's habit in the same post. Well, here is week two's habit - drinking the optimal amount of water for you. Now I know you know you should drink water, but here is why you should hydrate, how much you should drink and how to make this a permanent lifestyle habit! Whether you are training for health, body composition or performance improvement, water is essential. 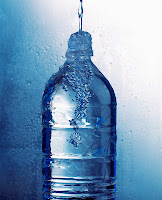 Of all the essential nutrients, water is the one you need the most and the one you can go the least without. It is essential for proper functioning of many systems in the body. Drinking water is also a great way to help detoxify the body. Many people mistake thirst for hunger and as a result can overeat. If you have the urge for munchies, try grabbing a glass of water. Muscles are about 70% water. Obviously just drinking water will not pack on muscle mass, but insufficient water may hinder muscle gaining results as well as training performance. My colleague, Dr. Mike Bodner, has a great quote: water is the most underrated ergogenic aid. Ergogenic aid means something you take to enhance your performance. More than ever before, people are looking to all sorts of pills and powders to give them the edge while many are failing to consume adequate amounts water. 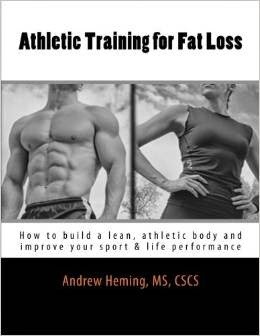 Even a mild dehydration of 1-2% body weight can result in significant drop in performance. That makes a big difference in a big game! Traditionally, 8 glasses a day has been recommended. While this is not a bad recommendation, it is not the holy grail of hydration. The problem with giving a fluid amount is that everyone needs a different amount. For example, if you do long hours of manual labor in the summer, you will sweat a ton and need to drink considerably more water than if you sit in an air-conditioned office all day. If you train hard and long, you need more water. Even the amount that you talk in a day effects water intake as you lose a lot of water vapor when speaking (I'm always surprised at how much water I drink when I teach a weekend course or do multiple conference presentations). Also, you get water in your food and this amount can vary depending on your individual diet. If you sweat heavily with exercise, another helpful guideline is to weigh yourself before and after and drink a cup of water for each pound lost. Note: this assumes that you do not have body image issues that would make this frequent weighing unhealthy for you. You can have too much of anything - even water. The body needs an optimum balance of water and sodium. 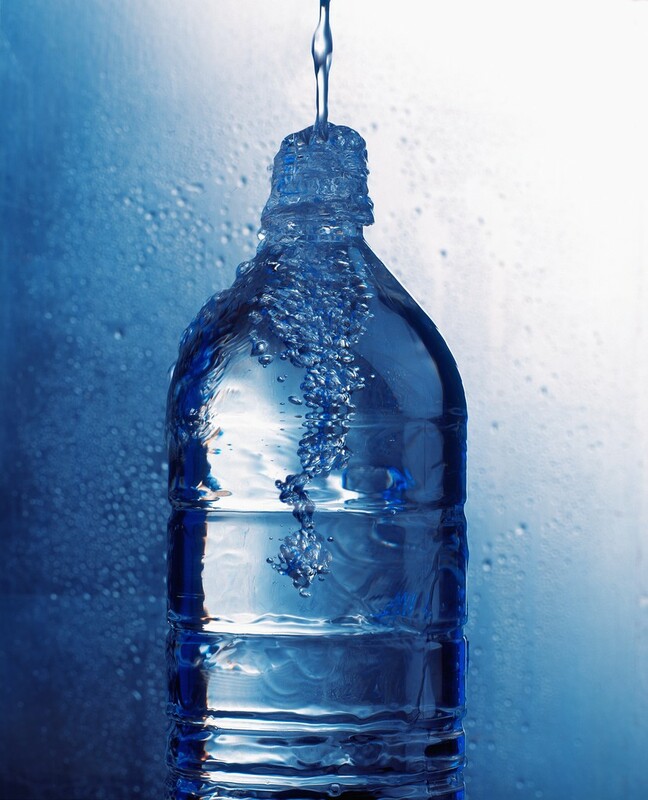 Taking in too much water in relation to sodium can lead to a condition called hyponatremia. This is a problem in endurance sports where people are training/competing for an extended period of time, sweating heavily and rehydrating with just water. This is why it is important to use a sports drink that has electrolytes or to add a pinch of sea salt to your training beverage. Beyond that, if you are meeting the guidelines above, you should be good and more than that may not be helpful and could be harmful. 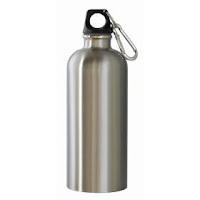 This week, you have a homework assignment: go to the store and buy a water bottle (if you don't already own one). Without sounding over-paranoid, I recommend a stainless steel one so you are not ingesting chemicals from the plastic. It also is better for the environment. The new habit for the week: each morning fill it up and drink water throughout the day. The other part of the habit is to check the color of your urine each time you go to the bathroom and adjust your intake according to guidelines given above.